It has now been years since the audio guides were introduced in the museums and by then the solution has evolved to become an integral part of the museum experience that serves the visitors with information which can give them a deeper appreciation of the artifacts or historical context and bring subjects to life through storytelling. But today we are here to discuss a little enhancement in the tour, i.e., audio along with video tour. 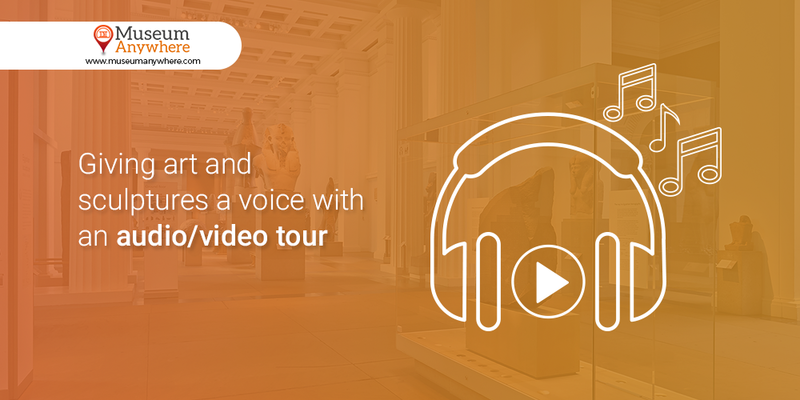 This has really made the visitor experience more exciting as it provides audio and video tour, which means not just the voice but your visitors can watch videos related to the artifacts in the museum. Isn’t it a more comfortable and friendly way of enjoying the historical, natural and architectural beauty in the museums? With the help of a multilingual audio and video guide, visitors can easily enjoy their tour without needing the help of any tour guide present in the museum. By embracing this solution you do not have to buy or lease Audio Tour equipment! We will provide a multimedia tablet for free that includes audio, video and detailed text combined with age-appropriate Fun Facts and Trivia (gamification). As your target audience is becoming more tech-savvy, and in such a case, your visitor is expecting you to provide extras such as a map to show where the exhibits and other useful information, what’s on a particular day and to have access to all the peripheral elements to their visit. The hand-held technology has helped many museums by leaving a positive impact on the visitors that has let them experience the heritage attractions of the past years. The audio and video tour can explain objects and artifacts in more depth by displaying related content, photographs, videos, audio and illustrations on the tablet. So are you ready to implement the audio and video tour in your museum? If yes, then talk to our expert to discuss and know how audio and video tour solution can work wonders for your museum, write at sales@MuseumAnywhere.com or call 703.652.6630. We would love to assist you and answer all your queries. Next Next post: How can an app reduce teacher’s workload in the museums?